During our holiday in Hampshire we made a tour of the Meon Valley. There are many interesting barns in the area, including this one. 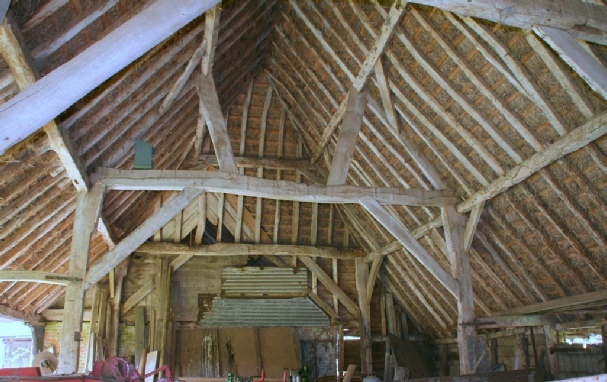 It is a timber-framed, eight bay, aisled barn with two threshing floors. 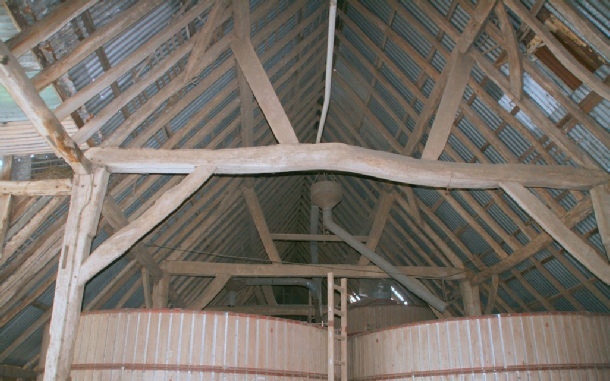 It is now clad in corrugated iron but would originally have been thatched like the aisled barn or cart shed nearby. Next to the barn is a stable block that has been converted into Holiday Cottages.